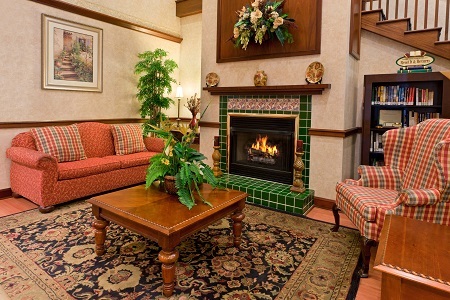 Located just off I-95, the Country Inn & Suites® by Radisson, Newark, DE, welcomes you to the scenic Brandywine Valley. Explore the charming shops and restaurants in downtown Wilmington, just 20 minutes from the hotel, or hit the beautiful links at the Deerfield golf course, less than seven miles away. The whole family can take advantage of tax-free shopping at nearby Christiana Mall and catch a Fightin’ Blue Hens game at the University of Delaware afterward. Traveling with family or a large group? Spread out in our One-bedroom Suite, which features a full kitchen, a dishwasher, a private bedroom and a separate living area with a sleeper sofa. Fuel up for game day at Delaware Stadium with morning favorites at our free, hot breakfast. You can sit down to savor hot items like eggs, ham and sausage, or grab a buttered bagel and fresh fruit to enjoy on the go. For lunch or dinner, don’t miss local restaurants like Grain Craft Bar + Kitchen, which serves up contemporary American favorites such as fried pickles, wings and cheesesteaks. Enjoy a locally brewed beer while lounging on the outdoor patio and taking in live music. Delaware Park – Try your luck at more than 2,000 slot machines or bet your hand on live Thoroughbred racing at this popular casino, a six-minute drive from the hotel. Gambling not your thing? Enjoy a tasty meal overlooking the track at The Terrace or hit the links on the 18-hole golf course. The Patriot Ice Center – Catch a Delaware Ducks hockey game or attend an educational clinic at this skating center, located about five miles from the hotel. If you’re new to the ice, the expansive complex offers lessons for all ages. University of Delaware – Join more than 20,000 fans in cheering on the Fightin’ Blue Hens at Delaware Stadium. While on campus, you can also visit one of the art galleries and museums or catch a live dance performance. 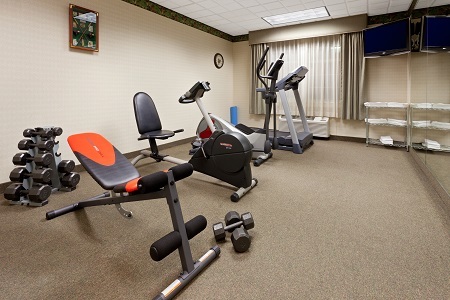 Make our Newark hotel the place your group gathers for local sports tournaments, weddings or family reunions. Allow our friendly staff to create a customized event website to keep your party informed, and keep the entire crew fueled with our free, hot breakfast. 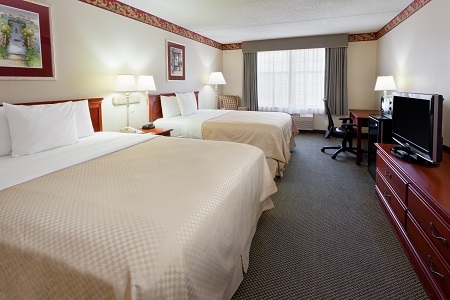 Our central location off I-95 offers easy travel for out-of-town guests as well as convenient access to nearby attractions.